Whether you’re promoting products or pushing your services, you’d be remiss not to leverage email marketing to deliver a personalized message to your target audience. With one of the highest returns on investment over any other marketing channel, your first impression via email is crucial. There are many types of emails you can send out to your subscribers, but the first campaign, typically known as the welcome email, is the most important. A welcome email, according to a recent Epsilon study, typically has the highest open rates (60 percent to 70 percent) compared to every other type of marketing email. For this reason alone, you must make a lasting first impression with your welcome email. Below, is some advice for creating a killer welcome email that keeps recipients interested and ready to take action. One of the key pieces of a winning welcome email is a warm and personal introduction. The welcome message should greet new subscribers and make them feel they are now a part of something bigger… a family or a team if you will. Take a look at this example, from Treat Cupcake Bar. 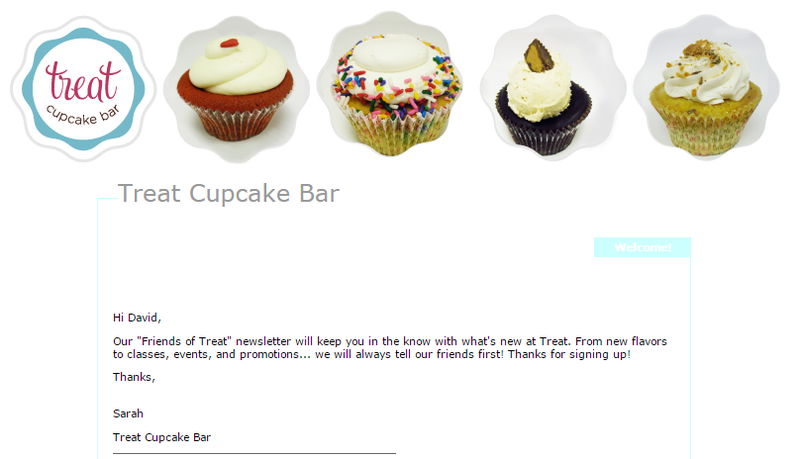 Here, the bakery does a great job of making subscribers feel welcome by introducing them to the “Friends of Treat” newsletter. Just remember, there is no right way to welcome new subscribers. This is where you need to have some knowledge of your audience and their colloquialisms. If they say “Howdy” then y’all better say “Howdy!” If they prefer Dear Madam So-and-so, then you best believe that you will refer to the madam in the proper sense. Basically, speak their language when greeting them. Every subscriber wants to know what’s in it for them. So make sure your welcome email answers just that. A smart approach is to include a quick “perks list,” which summarizes what the subscriber should expect and why subscribing was a great idea. 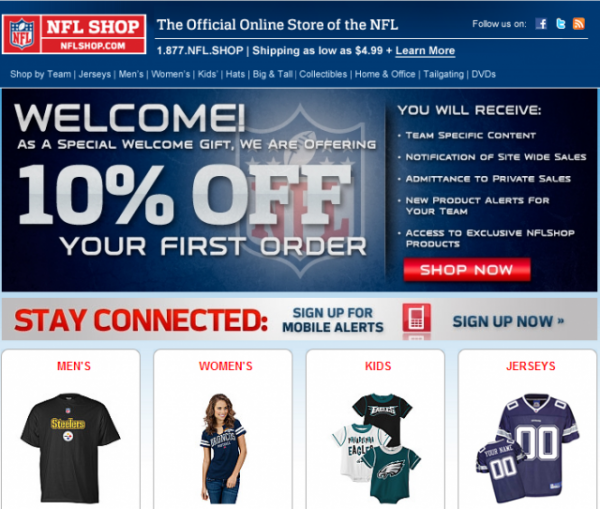 In this NFLShop.com welcome email, you can see that they offer five solid benefits to new subscribers, clearly listed in bullet points right above that big, beautiful, shiny “Shop Now” button. The subscriber now has 10 percent off, a bunch of perks, and the ability to shop conveniently from their device: that’s a welcome! When a potential customer shows interest in joining your mailing list, it pays off to engage with them as soon as possible. Fortunately, Constant Contact enables you to automatically send welcome emails as soon as a subscriber joins your list. The initial engagement is vital to reinforcing this new digital bond and should set a precedent for the subsequent series of emails (also known as a nurture track) the subscriber will receive in her or her inbox. Nurturing may, for instance, include introducing new subscribers to your email list, an invitation to connect with you on social media, and a final email to get to know your subscribers better. Tip: Read this post for step-by-step advice on creating an automated welcome series. Offer a deal as goodwill and have a clear call to action. New subscribers are a delicate bunch, so you must go the extra mile to treat them like a valued member of your community. 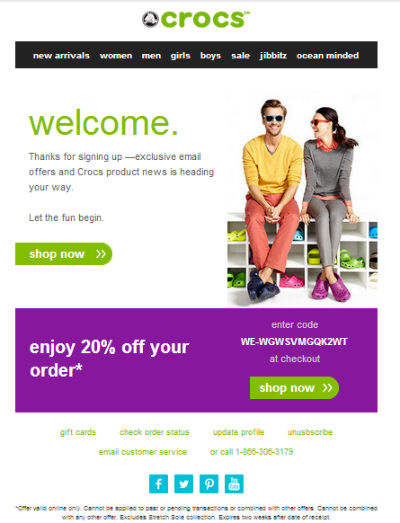 In the Crocs example below, you’ll notice the 20 percent off promotion with two bright-green buttons to “Shop Now.” If a subscriber opens the welcome email, they will most definitely see and hopefully act upon this great deal. It is a safe assumption that your supporters and prospective customers may not have done any research on your business and products before they subscribe to your email lists. 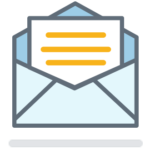 The welcome email is, therefore, the ideal chance to educate the reader about your organization, its products/services, and how you will add value to their lives. Sometimes the best way to educate your new subscribers is to tell a simple story. 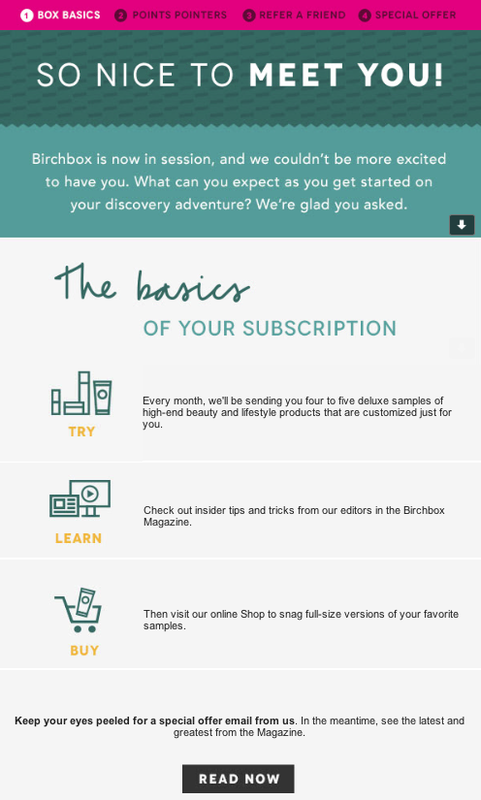 In the case of Birchbox, the welcome email tells a story of exactly what you can expect from the company. A great way to tell a story is through visual content that is easy to digest such as an infographic, impactful images, or a video. Just be sure to maintain a ratio of one paragraph of text to each image/video you use in the campaign. With these tips in mind, you’re ready to customize your welcome email to fit your brand and effectively welcome new subscribers. Once you have your welcome email created, post your subscription link in the comments below for everyone to join. We’ll take a look and let you know what we think! Log in to your Constant Contact account to get started. Not a Constant Contact customer? Sign up for your free trial now. If you find yourself getting stuck or have more questions, you can get in touch with me directly at bryan@bjcbranding.com.